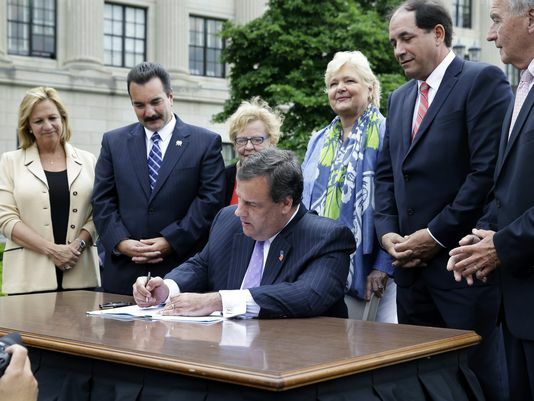 Blackwood, NJ, May 30, 2014—After three decades of effort by lobbyists to pass a bill amending New Jersey adoption records law, on May 27, 2014 New Jersey Governor Chris Christie signed a bill into law that will make those records available to adoptees. The new New Jersey adoption records law, scheduled to take effect in 2017, amends previous legislation to make original birth certificates available to adoptees over the age of 18, and to some of their close family members. Previously, original birth records of adoptees were sealed, and could only be opened by court order. The law also makes birth parents’ medical and family histories available to those parties, and provides the birth parents with options regarding future contact by their biological children. “Perhaps that last provision is the most important,” Hinkle said, “It allows parents to decide if they’d like to be contacted, either directly or through an intermediary, or not to be contacted. It provides both birth parents and their children a new mechanism for future contact, if both parties desire it. Testimony during the bill hearings focused on the desire of many birth parents for connection with the children they gave up. “The testimony seemed to indicate that the wishes of parents who desired contact superseded those with privacy concerns,” said Hinkle, “but then, those with privacy concerns probably wouldn’t be making public testimony. “Overall, the new law does add some improvements to the state’s policies. For instance, the provision making medical and family histories available to adoptees could aid in adoptees’ medical treatment, or reveal genetic predispositions to certain illnesses,” said Hinkle, “But the privacy concerns are valid, and may lead to challenges to New Jersey adoption records law.